Small size is 9" x 9" square and is good for rockets up to 3" in diameter. 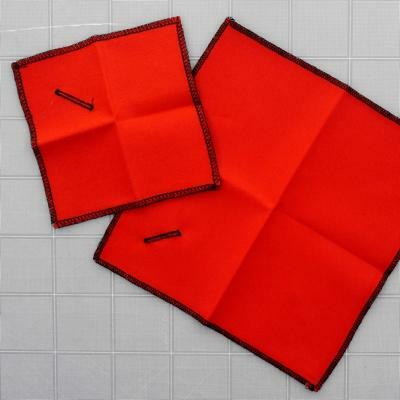 These are squares of heat-resistant cloth with sewn edges to help the protector to last for many flights. There is a "button hole" with sewn edges in the cloth. Comes one per package.